The image we tend to hold dear of our moms and dads is always of a time when they were younger. We like to think of our parents as eternally mobile, fit, healthy and young. As we grow older and see the wrinkles developing on their faces, the sense of hearing diminishing a little and their ability to get around decreasing, it can be tough to cope with. Sometimes there is no option but to choose a care facility that will look after our parents and their ever-increasing medical needs. However, for those individuals who have a support network around them, they can strive to keep their independence. Take a look at how you can help your mom and dad keep their independence for as long as possible. The idea of going into a nursing home is unpalatable for many older people. To prevent this from happening, you could choose to have your parent come and live with you. If their medical needs aren’t overwhelming and they can take care of themselves, having grandma or grandad around the kids can be enriching for your little ones and for the grandparents. There’s nothing better than hearing their stories, making special memories and allowing them time with their grandchildren. If this is a little too burdensome, you could choose to employ the services of a Seniors Helping Seniors carer. These individuals are seniors themselves and will help your parent with their needs in their own home. Their independence is kept, albeit with a little extra support. While it may seem a little odd suggesting to your mom or dad that they head to the gym, a yoga class, a treadmill stroll or some lightweight work can work wonders in trying to counteract the inevitable muscle degeneration that comes with age. Older people can still strive for a certain level of fitness. A stroll every day can help maintain strong cardiovascular health. This doesn’t have to be in the gym and could be walking the dog in the park or simply taking a constitutional in the warmer summer evenings. As your parents grow older, the sad reality is that they will begin attending more funerals as their nearest and dearest pass away. This can cause your mom or dad to be confronted by their own mortality which can be overwhelming. To try and help with any low moods, you need to encourage your parent to remain sociable and enjoy going out with friends. Becoming withdrawn and hermit-like can lead to depression. If your elderly relative doesn’t have a vast social circle, suggest that they join a new club. Walking groups, book clubs, and cooking classes are all great ways for your mom or dad to meet new like-minded people. We all hate to think of our parents as vulnerable human beings, especially when we can picture them as young, virile moms and dads. However, the natural process of aging means that your parents will begin to struggle with everyday tasks. The good thing is that we can help mom and dad keep their independence in order to cope with their lessening faculties. 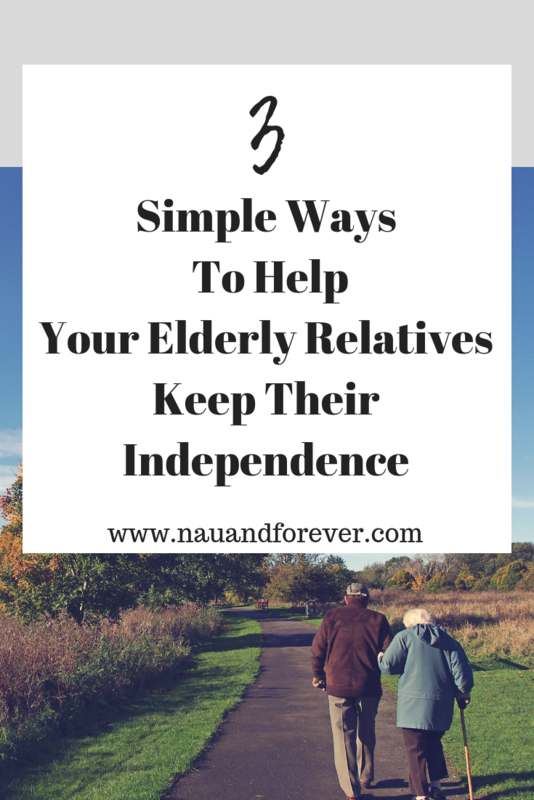 By using this guide, you can help your elderly relatives to maintain their independence.